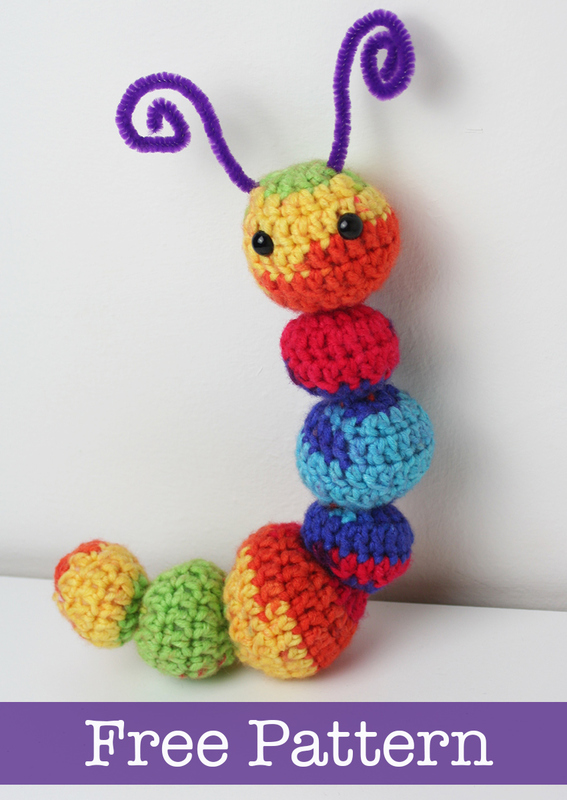 Today we are going to take a look at how to crochet your very own caterpillar toy. This pattern is simple, fun and very versatile. 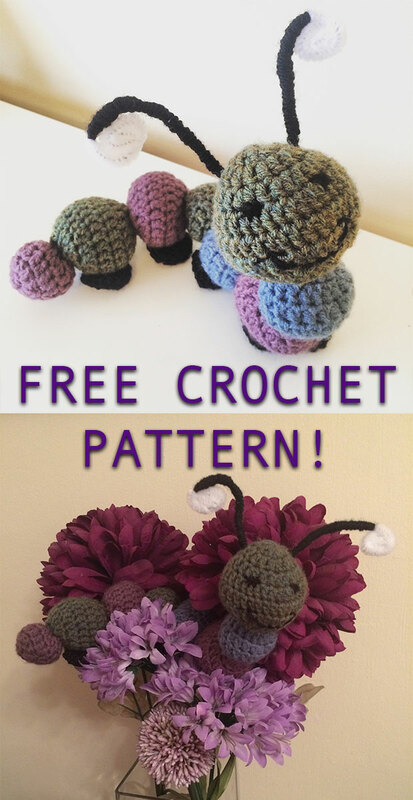 In this article I will share my crochet pattern and show you how to make a copy of the caterpillar I produced. I will also give you some advice for making your own variations on the basic pattern. I have a feeling that this will be one of the longer equipment lists that I have written for a pattern. So for an abbreviated bullet pointed version, just flick down to the bottom of this section to get the over-view. The crochet caterpillar pattern is ideal for using up your slightly longer yarn scraps, and this is exactly what I did. The yarns I chose were the remainders of some partially crocheted skeins of Women’s Institute yarn. 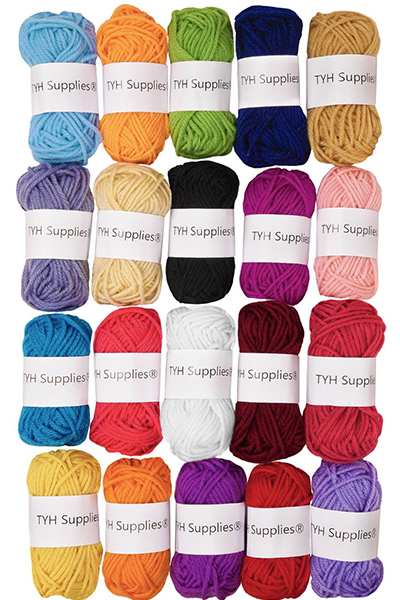 If you would like to copy these exactly, then you will need to buy 100g each of Women’s Institute Premium Acrylic yarn in Teal, Light Purple and Green. You will also need approximately 50g of black yarn to cover the antenna. I used Women’s Institute Soft & Silky 4ply Black yarn. You will need a 4mm hook ( I used a soft grip hook, as I find these more comfortable when doing smaller stitches), some sharp scissors and importantly for this pattern a yarn needle. Although you can get away without one for a lot of my patterns, this one requires stitching for the facial features and sewing the separate sections of the caterpillar toy together. I have a few different yarn needles, but my preference for this pattern is a small sized plastic yarn needle. I stuffed my crochet caterpillar with toy stuffing, and if you are going to give this toy to a child then I recommend you do the same. You can however if you choose also stuff this toy with yarn scraps, just make sure that they are not colour which clashes with the caterpillar sections or is too bright, or it might show through the stitches of his body. In addition to the expected crochet equipment, you will also need three pipe cleaners. They will be used for the antenna and a central spine to support the toy and allow you to pose it in a more caterpillar-like position. The ones I used were from a packet marked ‘chenille stems’, from Hobbycraft. I recommend getting a similar source of pipe cleaners, as they are designed with crafts and kids in mind so they tend to be a more appropriate quality. 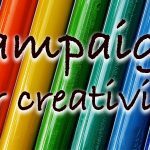 You will also find it helpful to have a stitch marker or two to hand, if you have any distractions around you whilst you are crocheting. (The number of times I have lost count due to unexpected interruptions…). I have chatted on a bit here, so this is a brief summary. When you have gathered your kit together, you will be ready to begin! This caterpillar is compiled from individually crocheted sections, which are then slotted together with a central ‘spine’ pipe cleaner. This will add stability to the structure, and let you pose it however you want. Remember, when you create your own toys that they may not be suitable to be played with by under 3’s as they haven’t been safety tested and could be a choke hazard. Supervised use is advised. 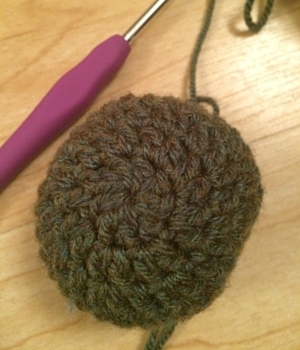 The pattern for the crochet caterpillar’s head begins with a magic circle. It’s the only time you will need to do one in this pattern as a whole, but I highly recommend that if you are not familiar with it you have a few practices and make sure that you get it right. Closing the magic circle will make sure that the top of your caterpillar toy’s head is sealed and not exposing his stuffing in the most obvious place. This pattern builds as a continuous spiral, so you will not need to slip stitch and chain at the end of each row. Simply continue on from the magic circle, working into the consecutive stitch each time. I have shown the total stitches in each row in brackets. I recommend sticking your stitch marker into the last stitch of the row when you finish one, so that you don’t lose count as you increase. Note: when I refer to dc this is the US term – if you are unsure, check out this article’s US vs UK explanation. Loosen your yarn so that your stitches don’t unravel, but leave the tail attached to the skein. Take two pipe cleaners and wind them together. At each end twist firmly and bend over, to make a small smooth ball. Ensure that you have not left any sharp ends potentially exposed. If in doubt, use some needle nose pliers to pinch the end and twist it against itself. Put a small pink of stuffing into the caterpillar’s head, then insert one end of the pipe cleaners on top of the pinch of stuffing. Pad stuffing around it. Make sure not to over-stuff the head, but equally ensure that it is full enough to give a spherical appearance. When you are happy with your stuffing quantity, slip stitch into the last stitch you made. Then cut off a long tail of yarn and attach your needle. Sew through each of the eight top row stitches, and pull the opening close like a draw-string bag. Place the head and spine to one side, with the long tail still loose for later attaching the neck segment. 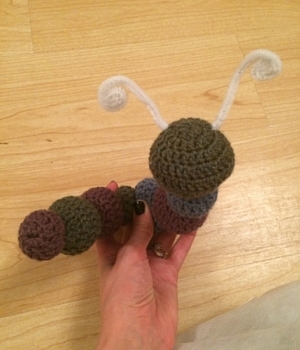 The crochet caterpillar toy’s antenna are nice and simple to put together. First look at your caterpillar from the top, looking straight down at the centre of your original magic circle. Take one pipe cleaner and insert it into the outside of the second row, the equivalent of one row behind the middle. Pull it through and out at the even point on the other side of his head. Make sure that it sits with an equal amount of pipe cleaner exposed at each end. To make the antenna look vaguely realistic, but also to prevent potential sharp ends, tightly wind the pipe cleaner into a spiral at either side. Starting from the caterpillar’s head, wind the black yarn around the antenna. Leaving just the spiral end exposed and white. You will need to wrap the yarn up and down at least twice to make sure that there isn’t any more white exposed. When you have finished one side, thread the yarn needle with your yarn and take it through to the other antenna. Repeat the process at this side. When both sides look black, sew the yarn back and forth to each side to secure it, before tying off. I made the caterpillar’s face simply by sewing the features in place. You can decide where you think the eyes look best, or copy those shown in my photographs. 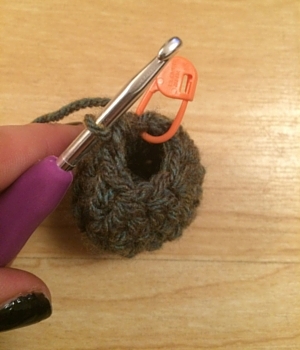 I recommend beginning your stitches by passing the needle through the antenna entrance point, so as to leave no obvious entry point for the black yarn. You can close it off at the same point. If you have easy access to safety eyes then they would be a great addition, but don’t worry if you don’t. Just use the remainder of your black yarn that you used to wrap the antenna. You will need to make seven separate sections for your caterpillar’s body. Three small, and four large. The large sections will make up the areas that you will attach your caterpillar toy’s legs too. The small will become the neck, rear end and middle segment. The main thing to remember with these segments is to begin each with the chain circle method, not the magic circle as before. You will need to have an open gap for the pipe cleaner to be inserted through, for all but the last sphere. Make four segments of this size – two purple, one green and one blue. Row 4 to 5 – Dc once into each stitch for two rows length. Stitch mark before you begin so that you don’t have to keep count. Slip stitch into the last stitch of the row, and cut off leaving a long tail for sewing in later. Make two from this large pattern in purple, one in green and another in blue. Make three of this size – one purple, one green and one blue. Make one in each colour. 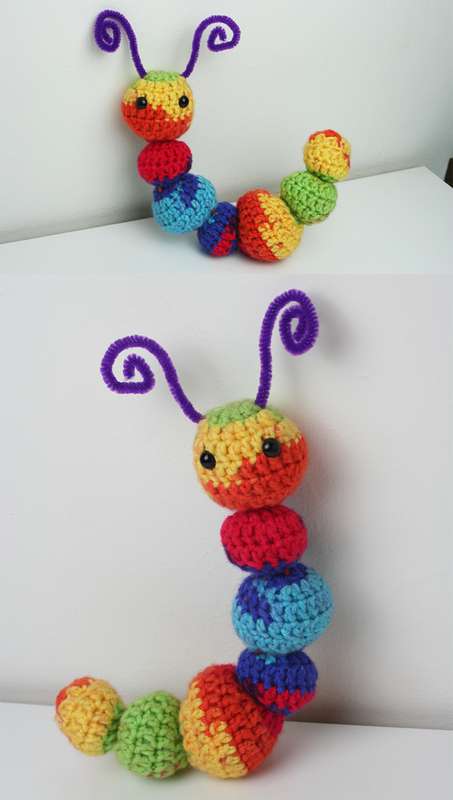 Now that you have made all the main body parts of your crochet caterpillar toy, you can begin to join them together. Lay out all of the composite pieces together, and work out the order you want to attach them in. Remember, you will have a serious fiddle to change them once you have started sewing, so make it easy for yourself to get it right. Take your head and pipe-cleaner spine, and slot the neck section onto it leading with your initial chain hole. Use the tail thread from your head section to sew the next piece. Weave through both to join them together around in a circle, inserting the needle through the first rows. Remember there are no strict rules when it comes to finishing off your crochet toys. This is the part where you can really play around, changing the order of the segments and/or quantity of filling as you go, to get the look that you want. For example different amounts of stuffing can make the same sized segments have a slightly altered appearance. I left one of mine a little emptier so that I could compress it into a more oval shape nearer the centre of the body. When your caterpillar is joined together all that remains is to add the little feet! Your finished caterpillar will have eight feet, two under each large section. I leave these until the very last thing to add, as you can then be sure of where exactly is the right place to attach them. 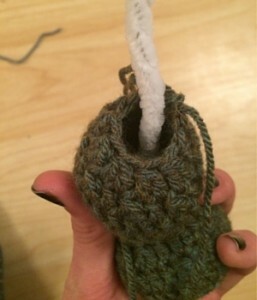 Use your black yarn to make each individual foot. Take a yarn needle and sew through each of the eight remaining stitches, to close with the draw string method. Unlike the bodily segments the feet will be unstuffed. When the foot is closed, insert your needle through the centre of the foot. Your foot will look like a flat pad under the body segment. Sew two to each segment when they are all complete. 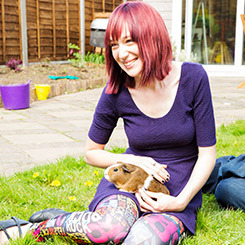 This pattern is one that is super simple to customise. The easiest way to be creative with your own crochet creature is to use different coloured yarns. I wouldn’t recommend using a different weight of yarn, so make sure that you select from a double knit (dk) range. But colour wise you can pretty much go crazy. I think it would look really fun in a rainbow pattern, which I think is what I will do for my next caterpillar. You can also play around with the facial features to give different looks. Changing the shape of the eyes can give a toy a whole new expression. If you are a confident crocheter you could also try replicating the pattern with a different stitch. I think I am going to give it a go with the v-stitch next – so watch this space for some more photos. I hope you enjoy this pattern, and making it your own.